The WhiteWall acrylic stands make your photo an eye-catcher. No fuss and it can stand anywhere. The glossy acrylic enhances the image’s colors and gives it a sense of depth. With various photo stand options and a timeless design, it matches any decor. The shatterproof acrylic glass, temperature-resistant silicone, and aluminum Dibond backing guarantee a long lifespan for your picture. The three-layered backing provides stability, and the elastic silicone seal means the mounting is durable and bubble-free. Perfect for any type of image. Brilliant color and sharp contrasts. Thanks to its low weight and resistance to breaking, crystal clear acrylic glass is the perfect material for your photo stand. Glossy acrylic ensures intensified colors and an appearance of enhanced depth. Choose from three thicknesses. Perfect for your own pictures or photo gifts. We back your acrylic picture stand with aluminum Dibond. This material consists of two aluminum layers sandwiched around a black synthetic core and a white back. It is resistant to changes in temperature and humidity. 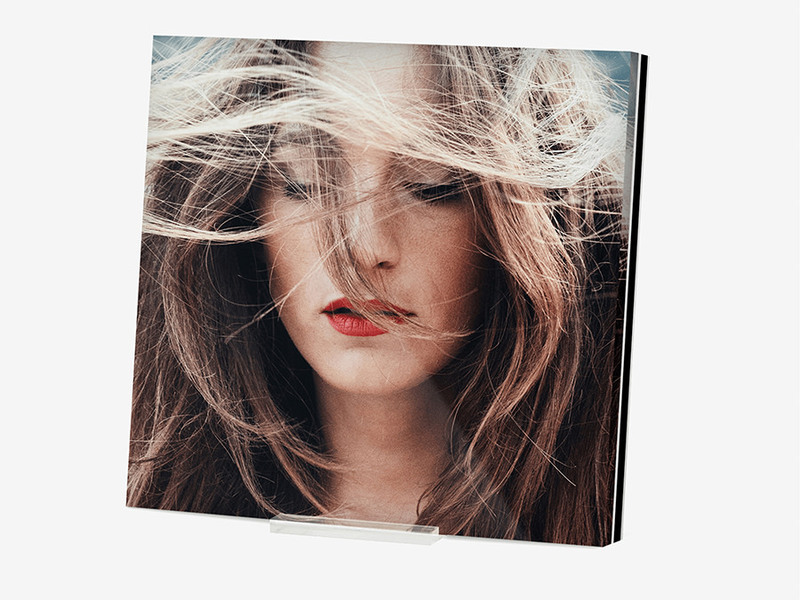 We make the acrylic glass photo stand for you in a landscape or portrait format, as a square or a panorama. 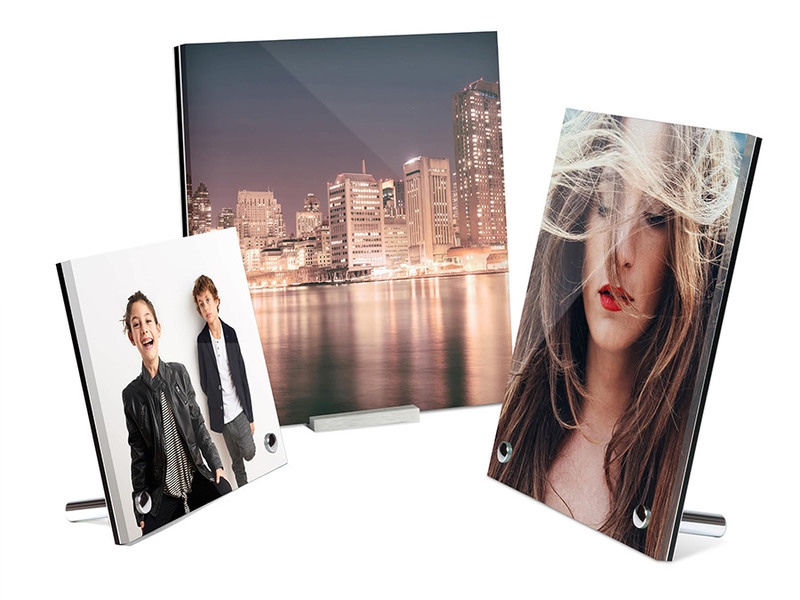 Choose your preferred format from the possible sizes for customized photo stands and perfect gifts. 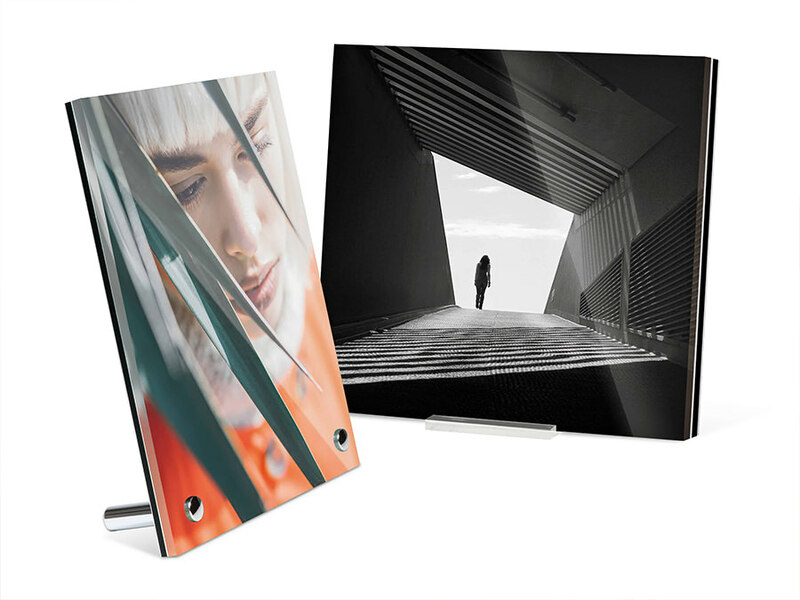 No matter how big the moment, WhiteWall has the right format for picture perfection: Original photo prints under glossy or matt acrylic glass are our flagship products. Our favorite for large and small formats is acrylic glass with a thickness of 1/8" (4 mm). Crisp details, brilliant colors and fascinating depth – we supply professional photographers for their exhibitions in galleries and continue to receive high praise and test wins. In terms of price-performance, we feel that it is very important to make our products accessible for non-professionals as well. Go ahead and compare: We are certain that in the end you will decide in favour of WhiteWall.